The MRWA received a grant from the William & June Winn Fund and Cadillac Area Community Foundation Cornerstone Fund, along with funding from the Wege Foundation through the MRWA to complete a rain garden at the Cadillac Wexford Public Library. 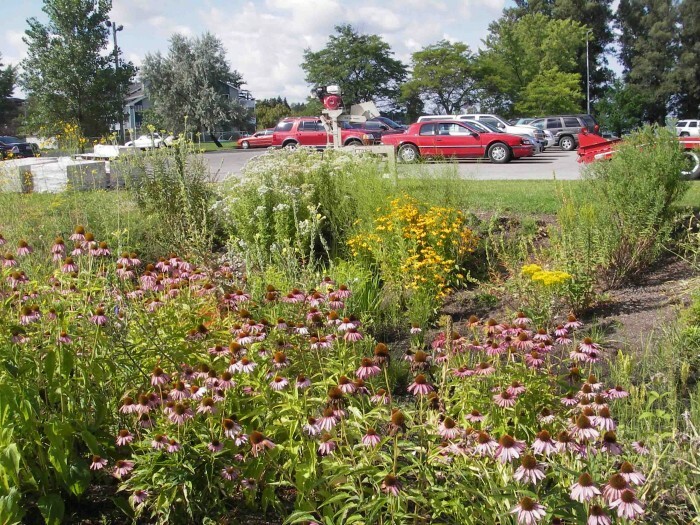 The rain garden was created to collect the runoff from the library’s parking lot and filter the pollutants before it drains into Lake Cadillac. Construction problems delayed the planting of the rain garden until the spring of 2009. The rain garden was planted on May 21. It will be maintained by the Wexford Conservation District, Cadillac Wexford Public Library, and Master Gardeners.